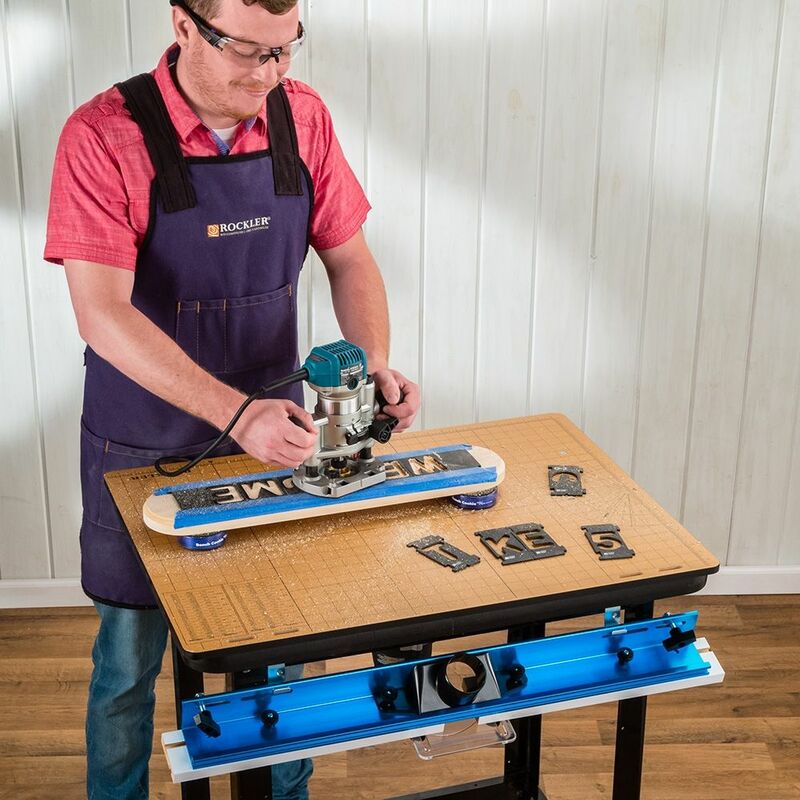 Convert your router table to an open work table—a great space-saving solution for small shops! One way to conserve space in a small shop is to make your tools and workspaces multi-purpose. 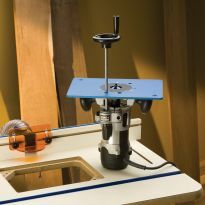 In keeping with that, this removable worktop lets you quickly convert your router table to a work table/assembly table. Machine the parts for a jewelry box with our Spline Jig or Box Joint Jig, then set the worktop in place and assemble your box. 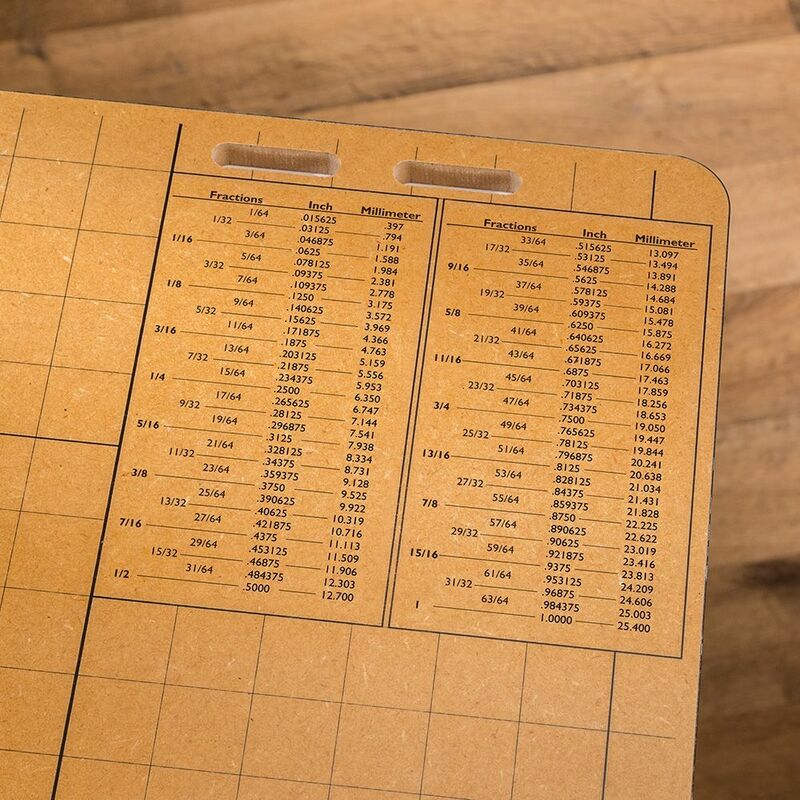 The top has a grid of lines in 1'' increments so you can square up assemblies and take rough measurements. The MDF material is dimensionally stable and stands up to heavy use. If you have spent the money on real good router table and have a small work space, inevitably stuff gets put on it. Scratches, holes etc. follow. The top is awesome. You can do anything on it and it either cleans or smooths away. No damage to the router table top and the biggest thing is you are saving space in a small worikshop. Perfect for my needs. You do need to pay attention when attaching the hangers so the slots of both the top and the router table fence will fit. My only complaint is that it would have been nice if it came with 4 screws to attach the hangers to the router table. 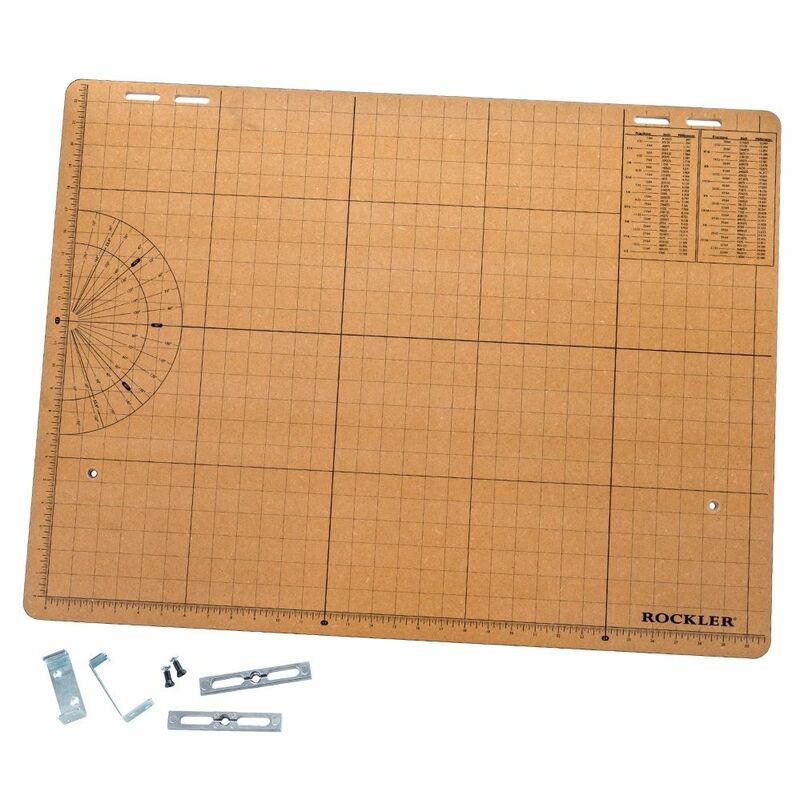 I was doing some serious router table shopping when I stopped into my local Rockler store. 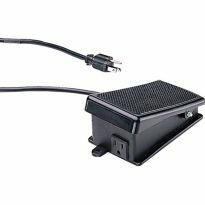 I saw the top hung on the rear of a table that was on sale with a router and lots of extras that are really required for safe operation. I placed the order for the work top along with the router and table combo (#50122). I spent today assembling my new router table package with the work table top extra. Since my shop is very small, I was attracted to how the top stored by hanging on the rear of the router table (photos clearly show a few slots that are meant to hang the top when not in use). The photos show that when the top is being used, the router fence, which also has slots, can be hung on the same brackets which hold the work top. Now, here is my only negative. in the work top's box, there is a plastic bag of parts. The hanging clips are easy to spot. 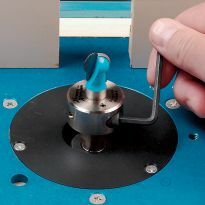 However, there is no direction sheet indicating how to attach the clips to the router table. There are parts that have no apparent use. They just don't seem to fit any hole, slot or anything else on the router table or the router stand. The first thought is that the clips should be screwed into the underside of the router table top. 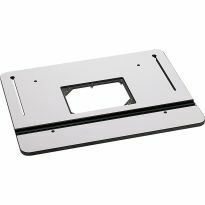 However, there are no screws to do this and no pre-drilled holes on the underside. I spent a long time trying to figure out how the other parts could possibly be used and came up blank. I figured I would just screw the clips in place using a few screws I already had. Not a big deal but adding 4 screws to the plastic bag of otherwise useless parts would have been nice. The final issue is where to position the clips. Should be an easy job. However, the four slots in the work top don't line up with the four slots of the router table fence! I ran out of time and will try to find out if there is actually a slot position on the fence and the work top that overlap but still allow the clip to fit, too. It seems like a really poor design that could have be so easy to fix by pre-drilling four holes in the router table and machining the work table top slots to line up with the fence slots. I like having the extra work space. 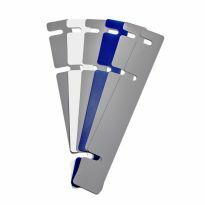 I only gave it a 4 star since the top screws do not sit flat on the table top and the hanging tabs barely line up. The table notches and the fence notches barely line up for hanging the part you're not using. I can use this to cover my work table when working on small projects. Then lift up the worktop with the project and move it out of the way. wanting to save my router table top from any damage, I use it all the time for a assembly table. I chose this because it looks like a great layout worktop. Plus with a small shop I’m very limited on space. So being removable this caught my eye. On our wish list, good price! 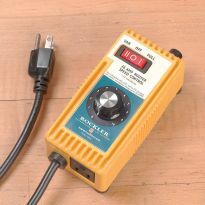 And to help keep Router Table Top in good shape, also a Rockler purchase. 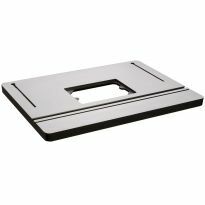 Save new router table top from damage. Small shop and need to max out workspaces. I'm bumping into things my shop's so small. Any extra workspace is a blessing so this will work beautifully! Gives more room in my small shop for doing other work. 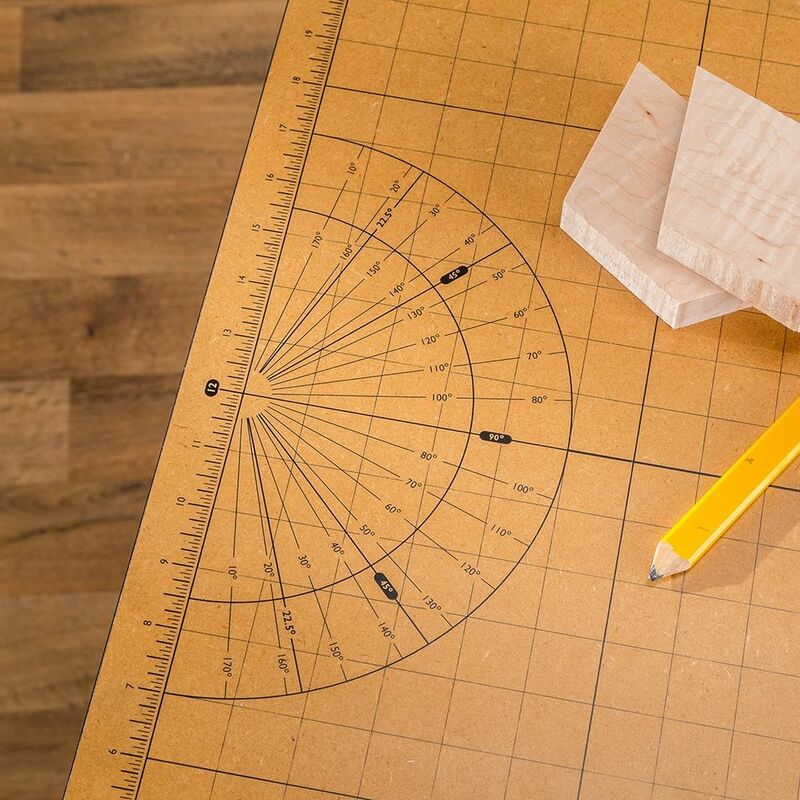 I don't understand about the miter slots....is there a raised strip on the bottom that fits into your table's miter slot to hold the board in position? If there is, is this strip fixed or easily moved? Really should include a picture of the bottom of the board. Thanks in advance for answers! BEST ANSWER: If you look at the picture of the top you will see two holes which are for the screws that go with the miter slot bars that are under the table top. You tighten the screws to lock it in place. 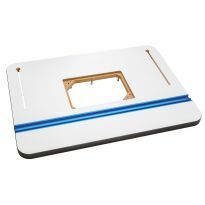 It is drilled for Rockler router table tops and may fit others without needing to drill new holes to match other brands. Where do you mount the two hooks? On the table or steel frame? BEST ANSWER: there are two options, you can attach to either... I have mine attached to the underside of the router top. 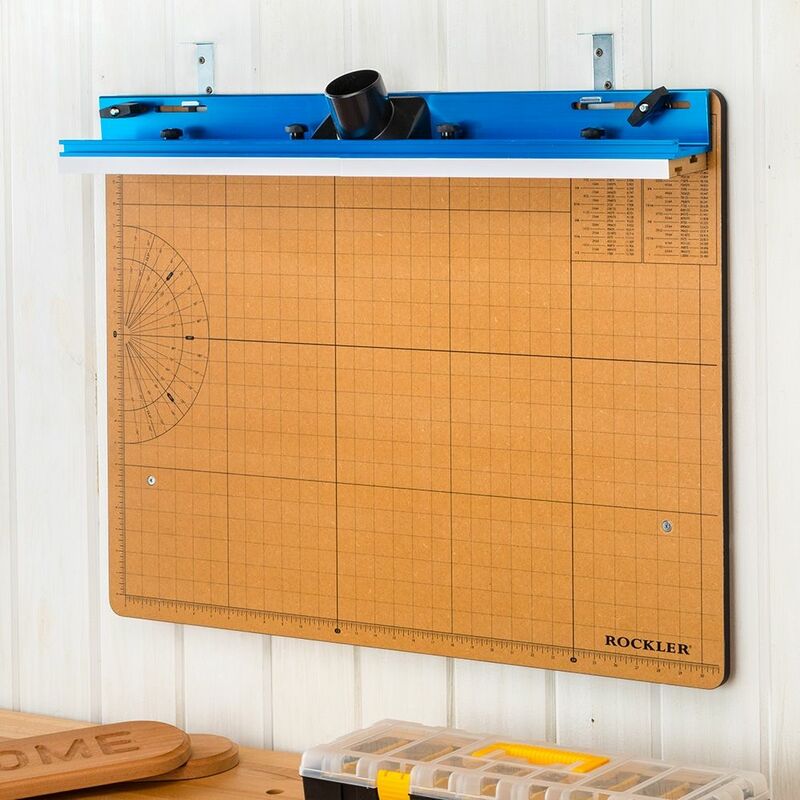 You could also attach them to a wall and hang the top out of the way when using the router table. I have actually re-purposed mine. 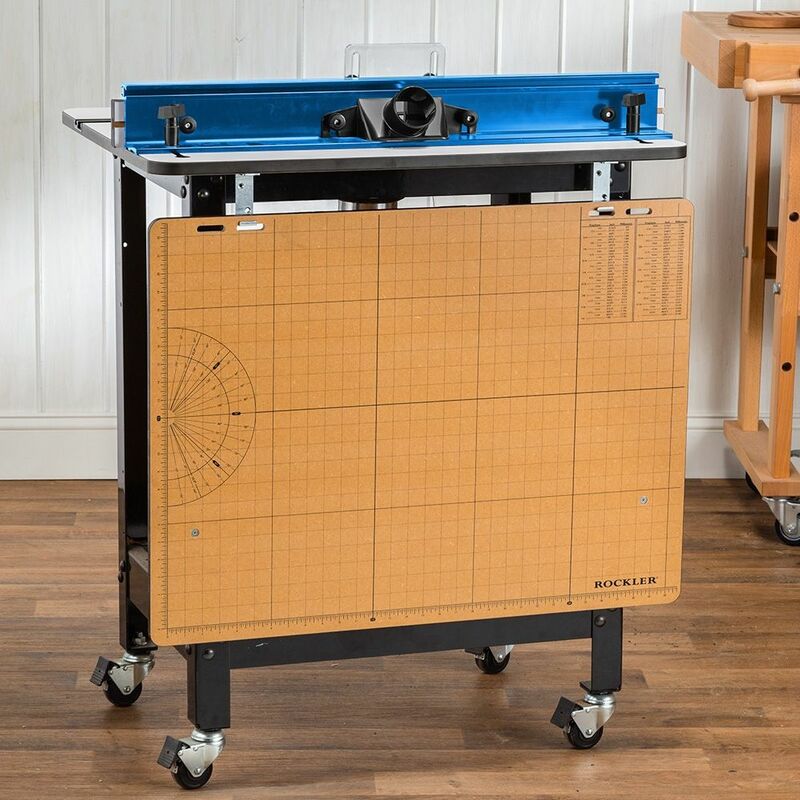 I use it as a drafting table when designing simple projects... I am still old school and use a T square and triangles on paper to design my projects. My guess is to the table. Unfortunately I have the cast iron table and there is no way to mount the hooks to the table. They mount on the frame and are easy to attach. The fence can be mounted there also when you are using the work table. Either one - I ended up on steel frame because it was an easier mount and it works fine. I mounted them on the steel frame of the router table. Will this work with the complete basic router table kit that was sold for a limited time, including being able to attach the hanger hooks to store the top and/or fence? BEST ANSWER: Not sure what table you're referring to. I bought the removable worktop to go with this: Item #: 57301 It was a great addition to my small shop. It'll work on any table with a T-track and the hooks are better placed on the legs that under the top anyway. one of my hangers is squared and one has a slanted end. is this normal? BEST ANSWER: both the hangers on my unit are at 90 degrees with just a little turn-up at the end to prevent the top from sliding off. Mine are both square. You probably have one that is bent.